Such a fun campaign by DDB Toronto. Such a perfect example of bringing a benefit to life. Do it in a self-deprecating way like we have here and you’ve got a fun, engaging and memorable campaign on your hands. The product: Bru-V – A glass that protects your beer from the sun’s UV rays, which offers you beer that tastes ‘slightly better’. Not 100% better, amazing, incredible or revolutionary – just… slightly better. The solution: Show side by side images where one is only slightly better than it was before. A girl with a beard ends up with a just a moustache, a guy with two skew eyes ends up with one pointing the right way and last but not least – a bald man doesn’t get his full head of hair back, but he gets something. By being self-deprecating and not over-claiming (as we know brands love to do) Bru-V does a great job of humanising their brand and bringing people along for the ride. Let’s be honest – if you’re in the market for a special glass for your beer that will make it just a little bit better, the chances are you’ll appreciate this kind of humour. This entry was posted in Art Direction and tagged Art Direction, Bru-V, print on September 30, 2016 by stellenboschacademy. A huge congratulations to all of our students. We have recently received the list of finalists for this year’s Pendoring Awards (which celebrate advertising work and creativity in all of South Africa’s 11 languages) and we have the most finalists out of all the schools in the country. We lead the way with 6 finalists and in second is Vega (Pretoria) with 4. Well done Vega! To all of our students who made the finalists – we are so proud. See you at the awards show! This entry was posted in Academy Work and tagged Awards, Pendoring Awards, Stellenbosch Academy on September 29, 2016 by stellenboschacademy. Perfume adverts offer such great opportunities for creating ads that really have no boundaries. It makes sense if you think about it – you can’t smell a fragrance through a film, but you can bring to life an idea or a feeling that is inspired by the fragrance. Sometimes these can end up a little insipid (famous actress walking through a city / ballroom / forest with a slow-motion kind of feel) but very often we get something truly out there. This piece, directed by Spike Jonze, for Kenzo World is most definitely one of those that took advantage of the freedom of perfume advertising. This takes the way we traditionally think about perfume advertising and really turns it on its head. Added to this, because this is appearing online, Jonze isn’t limited in time to 30 seconds or 1 minute – he has the space to tell the story he wants to. You’ll have to watch below to find out what happens! This entry was posted in Art Direction and tagged Art Direction, Film, Kenzo, Spike Jonze on September 28, 2016 by stellenboschacademy. 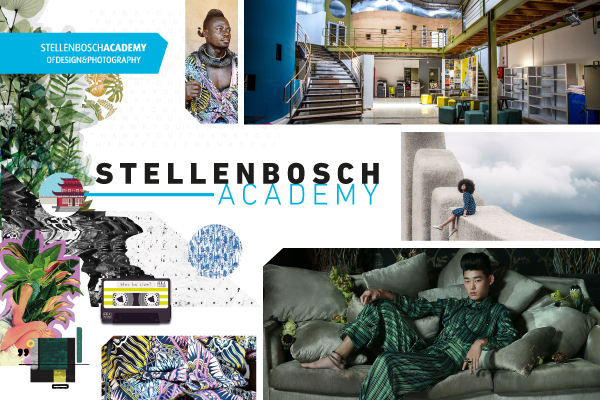 The finalists for the 2016 IPSA Student Goldpack Awards have just been announced and the good news for us at the Stellenbosch Academy keeps on coming! The following students have made it through as finalists: Alexandra Hanson, Stephanie Le Roux, Lhente Strydom, Alida van der Westhuizen, Ashton Winkworth. And now we wait! The winners will be announced at the official awards lunch on 25 October at the Inanda Club in Sandton. Good luck everyone! This entry was posted in Academy Work and tagged Awards, Stellenbosch Academy, Student Gold Pack Award on September 27, 2016 by stellenboschacademy. This is not the first time we’ve featured work for Alcoholics Anonymous. And it may not be the last. When creating communication for something like AA, we as creatives are often given just a little more license when formulating our ideas. With the chance to take more risks, we have the chance to create things that are a little more out there and hard hitting. These hard-hitting ads for AA Brazil really bring that to life. With strong, emotive copy that captures what it can feel like to feel stuck as an alcoholic, with nowhere to turn to, these ads reach out a hand to those in distress. By offering relatable stories, no matter how hard they are to read or think of, along with a bold visual style that reminds us of the anonymity of AA, these adverts go a long way to helping someone make that first call for help. This entry was posted in Art Direction, Illustration and tagged Alcoholics Anonymous, Art Direction, Illustration, print on September 26, 2016 by stellenboschacademy. Rodgers Townsend/DDB did this great campaign for Pearl Vodka that takes cues from adventure posters and book covers of old, with typography, composition and borders to match. With the line, Discover Pearl, we are transported into magical undersea worlds where people battle with sea monsters, jellyfish and even what look like evil mermaids just to reach the vodka. A combination of smart photo manipulation and retouching along with great illustration make these adverts good enough to be printed out as posters and hung on the wall. Remember: The mark of good design is that someone may like your work enough to be willing to steal it! This entry was posted in Art Direction, Illustration and tagged Art Direction, Illustration, Pearl Vodka, print on September 23, 2016 by stellenboschacademy. It’s been an amazing few weeks for us at the Academy what with our Loerie news and all the other amazing things our students are doing. And the great news just keeps on rolling in! We are very proud to announce that Peter Assenga, a student at the Academy, was recently named as a runner up in the Lürzer’s Archive Student Awards. To learn more about the awards and see what the judges had to say about Peter’s work, have a look at the Lürzer’s Archive site. This entry was posted in Academy Work, Art Direction and tagged Art Direction, Lürzer's Archive, Peter Assenga on September 22, 2016 by stellenboschacademy.